Founded in 2007 under the name "respekt" Association for Biodynamic viticulture based in Austria. 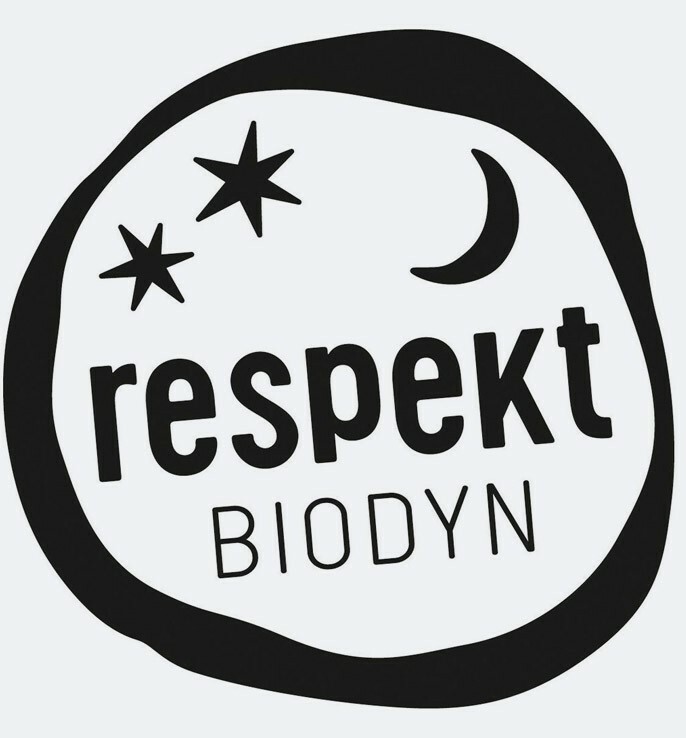 In 2015, the name was extended to "respekt-BIODYN". Belong today winegrower out South-Tirol. Germany. Austria and Hungary to the union. Purpose of the group is next to the common path of biodynamic winemaking Mutual training and support. The knowledge is extended in the form of regular seminars and workshops. The logo is only available to wines that have been certified according to the respekt-BIODYN guidelines. These wines are guaranteed to be produced biodynamically. The circle symbolizes the earth and the closed cycle of nature (birth, life, death, composting, new life) as well as the "farm yard individuality" (in the sense of a closed cycle). The stars and the moon symbolize the cosmos that influences all life on earth. Policies are local and national laws and regulations EU regulations as the EU Organic Regulation, The wines must comply with EU regulations organic wine to be produced. The applicable laws and regulations in each country must be observed. In addition, the biodynamic guidelines apply based on the work of Rudolf Steiner (1861-1925). This is guaranteed by the regular inspection Lacon in Austria, through Abcert in Italy, the Kontrollverein Karlsruhe and the GfRS Gesellschaft für Ressourcenschutz in Germany and Biocontrol in Hungary. There are a number of specifications for the vinification. This includes one noninvasive Principle with as few interventions as possible in the basement, spontaneous fermentation, no acid correction ( leavening. deacidification ), moderate alcohol levels, maximum 50 mg / l sulfur and no animal fining agents, In detail, the extensive basement and production guidelines are listed on the website - see respect BIODYN guidelines . This page was last modified at 3 April 2019 at 19:29.